16 cm tall (6 inches). 17 cm wide. 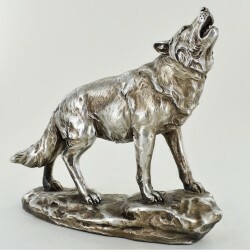 Wolf on rock howling figurine with attractive silver finish.